Here Today, Gone Tomorrow: Marketing With Short-Term Social Media | ASTRALCOM - Content Strategy, Conversion Marketing and Customer Acquisition. Customers’ interactions with brands on social media platforms like Snapchat and Instagram stories may be quick, but the potential impact and reach of these channels is significant. In a scenario where a brand may only have an ad or short piece of content posted for 24 hours, the challenge for marketers is to put effort into timeliness, freshness, and immediacy to resonate with customers. An article from Forbes discusses some clever ways to approach short-term content. One way to make an impact is to target your content to the needs and desires of your customers. You can never know too much about your customers – the more you can cater to their interests, the more likely they are to keep you at the front of their minds. Plus, in today’s world, there is no such thing as one-size-fits-all content. Formulate an approach, be specific and be clear in communicating the value you bring your customers. Snappy content with a strong sense of personality will also increase your brand recognition and customers’ recall. 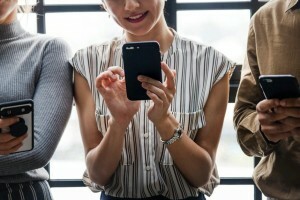 For more information on a major customer group when it comes to social media, check out my article on marketing for Generation Z. A better story means a more memorable impact. We’d love to talk about how to bring strong stories into all of your social media channels.